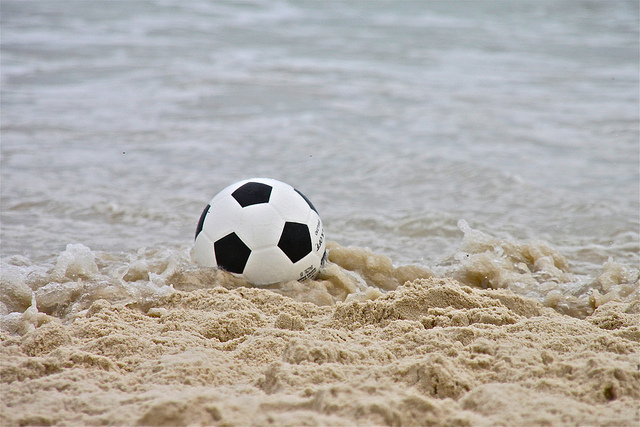 Watching the World Cup unfold across the United States is a curious phenomenon. For one thing, even if interest in soccer/the real football is not nearly as dead, or as niche, as often portrayed by the sports media and the inhabitants of U.S. sports fandom — who’ve got only enough time to gasp between breathless Tweets about American Football (which is also awesome, by the way; we take no sides in the which soccer is the real soccer) — it doesn’t seem to come out in any sort of overt fashion until the World Cup is coming ’round. It’s the same way most people are captured by the various Olympic sports only when the Games are looming. With the tournament set to take place around Brazil, the U.S. Men’s National Team has been announced. At least, the 30-man squad has been revealed, and it will be cut down to 23 before the Cup actually starts. While that will be an exciting adventure in and of itself, and the three games in the USMNT’s Sendoff Series (5/27 against Azerbaijan, 6/1 against Turkey, and 6/7 against Nigeria) will provide more than a glimpse into how coach Jürgen Klinsmann and company will approach their insanely difficult grouping, but we’re not in possession of any kind of life-DVR as of yet, and can’t fast-forward the two weeks it’d take to get there. For now, in some World Cup Festivus, let’s look at the best players on the USMNT Team of all time. The best ofs, as it were. We’ve scoured the Internet and the U.S.’s World Cup history — which is probably longer than you might think, given the relative inattention paid to the sport in the country — to bring you the seven best players in the history of the World Cup that’ve played for the U.S.
Joe Gaetjens is famous for a few reasons. For one, he scored what could be considered the most important goal in the history of the USMNT — scoring the sole point in a 1-0 victory over England in the 1950 World Cup, a match that saw England as such heavy favorites that even the U.S. coach, Bill Jeffrey, told his team that they were doomed, per Al Jazeera. His oldest son, Lesly, described the eligibility process from Gaetjens’ era. “During those days, as long as you were willing to sign a paper saying that you will become a citizen of the United States, then you will be included on the team,” he said, illustrating a process that is very different from the intense tryouts and qualifications that surround joining the team today. Gaetjens, a Haitian who never wound up becoming a U.S. citizen, was forcefully removed in his home country during the reign of Papa Doc Duvalier. On July 30, 1930, in the midst of his first World Cup appearance, Bert Patenaude became the first player ever to score a Hat Trick in the World Cup, leading the U.S. team to a 3-0 win over South America. The 1930′s team, which finished the tournament with a third place finish, is still the best U.S. World Cup Team in the history of the country — at least according to their finish. Patenaude is the second all time leader in goals scored for the USMNT with four — all scored in that 1930 tournament. Note: Reyna was on the 1994 World Cup squad but did not play due to injury. 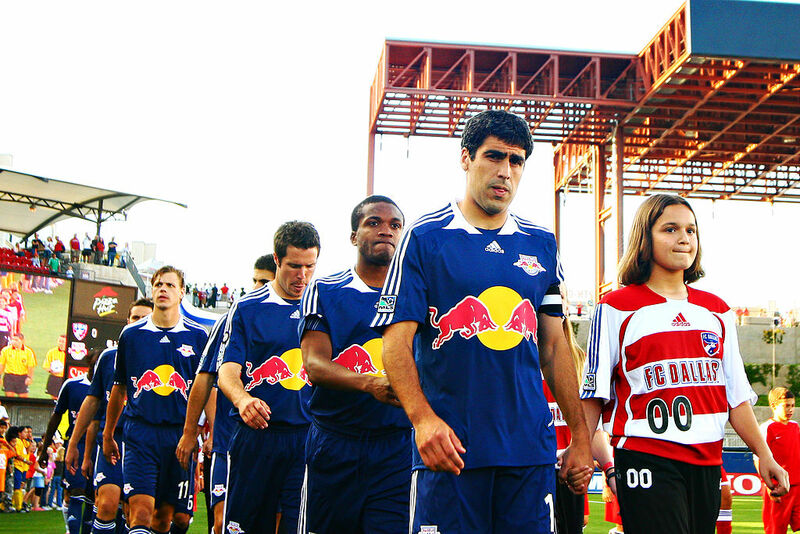 Claudio Reyna was the perpetual captain of the U.S. Men’s National Team during soccer’s upswing in the United States. After a disappointing decade for the sport in the 1980s, Reyna was the face of the squad in 1998, 2002, and 2006, with the 2002 team making it all the way to the quarter finals, the best finish since the 1930s squad led by Bert Patenaude. Beyond playing in the Premiere League outside of his role on the USMNT, Reyna finished with 111 caps (for the unfamiliar, each player is awarded one cap for each appearance in international play) and eight goals, though he only tallied three during the actual cup tournament. From one captain to the next, Clint Dempsey is the fastest scoring player in the history of the World Cup, notching a goal 53 seconds into a match during a qualifier. The most prolific scoring American to ever play in the EPL with 57 goals notched over at least 213 games (and a position as the first American to score a hat trick in the EPL), Dempsey has been solid in international play, too, garnering 36 goals in less than half the games as his EPL stats — for the completist, it’s 102 games so far — and generally doing the thing that most fans really enjoy: scoring points. At 31, Dempsey is looking at the end of his career, and as the second all time goalscorer for the United States, contemplates his last World Cup. He’ll try to see the U.S. make it at least as far as the 2002 team, one World Cup before Dempsey’s selection, and try to make it beyond the Round of 16. Dempsey is also one of just three American players to score goals in separate Cups. We’ll get to the other two shortly. How shortly was that? 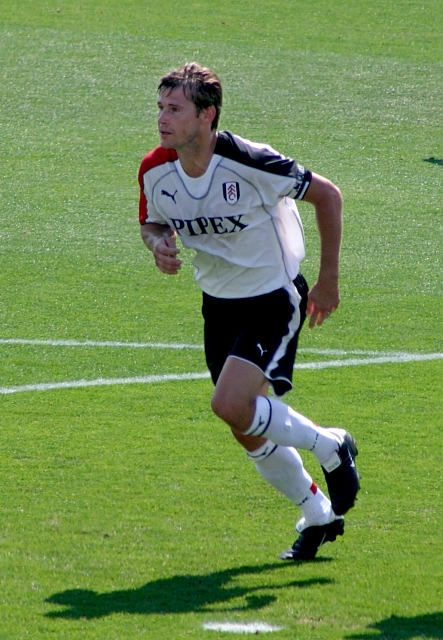 Brian McBride, now retired from international play, was actually the first American to ever score in separate World Cups after his goals in 1998 and 2002. An enviable trend setter, McBride’s three goals total (he did not score in 2006, his last tournament) see him in third for all American scorers in the World Cup. He was involved in a fairly severe alteration on the pitch in the match against Italy — a dustup that saw McBride take an elbow to the face that would eventually require stitches from the arm of Italy’s Daniele De Rossi, who was later fined $8,000 by FIFA, per ESPN. You can take a look at the elbow in the video below. Brad Friedel, the now retired USMNT alumni who played international ball from 1992 to 2005, will best be remembered for his 2002 World Cup campaign — a tournament showing that left him the nickname ‘The Human Wall’ and contributed heavily to the USMNT’s run. Apologies to Tim Howard, another fine goalkeeper, but Freidel saved a pair of penalty kicks for the first time since 1974 during that ’02 run and held Portugal and Mexico to a pair of goals between the two (in a pair of U.S. victories.) Howard’s super fun to watch, but Friedel is probably a better footballer. Since it was never going to be anyone else. 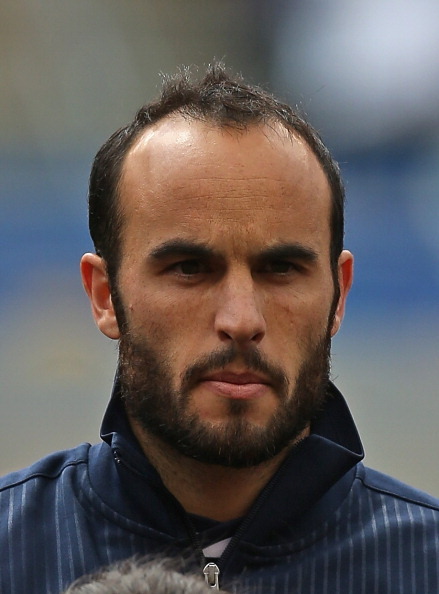 Landon Donovan, probably the best soccer player the U.S. has produced, is the Men’s National Team leader in scoring, assists, caps earned, and World Cup goals, with 5. He’s also the third USMNT player to have scored goals in multiple World Cups, hitting two in 2002 and three more in 2010. These days, Donovan is most often referred to as a way to approach the relative merits and failings of the international team — his undeniably weird treatment at the hands of Jürgen Klinsmann has been a hot point of soccer related think pieces about who the team will fare in the group round, while he’s also utilized as a measuring stick for future talent — but it’s worth noting that it was Donovan that scored the decisive goal over Mexico in clinching the USA’s World Cup berth.